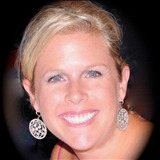 Kathryn Fleming is a seasoned REALTOR with over 15 years experience and multi million dollars in sales. Kathryn is a 20-year resident of Irvine, a graduate of the University of California, Irvine with advanced degrees in education. She has a passion for real estate with active involvement in the coastal Orange County cities of Irvine, Newport Beach, Newport Coast, Tustin, and Laguna Beach communities. She has a strong business background, keen marketing knowledge and a genuine passion for luxury customer service. Kathryn enjoyed a very successful corporate career with Sanofi-Aventis in pharmaceutical sales and corporate training. Kathryn is an award winning professional. While with the Ritz Carlton Hotels and Resorts, Ranked #1 in Luxury Experiences, Kathryn was awarded the Top Honors in Ritz Carlton's Worldwide Resorts as the #1 Club Concierge. Her keen eye for details, anticipatory nature and dedicated customer service is truly exceptional. Kathryn has three children with her husband, an architect, and has extensive knowledge of area floor plans in coastal Orange County, Newport Beach, Newport Coast and Irvine. She was raised in Orange County and San Diego. Her warm, friendly attitude and great marketing ability adds to her commitment to excellence. Kathryn goes the extra mile in every detail and gives you the confidence that she will work very hard to help you meet your real estate needs and goals.